Environment: Learn and Play Preschool offers a unique program situated in a newly renovated and expanded location at 245 Main Street in Acton. Our toddler and preschool programs are deliberately housed in a home-like environment to provide comfort to our children encountering their first experience away from home. Our students come from Acton, Maynard, Boxborough, Concord, Littleton, Westford, Stow, and Harvard. Teachers: Our teachers are experienced and knowledgeable about early childhood education. They work collaboratively to support each other in providing an atmosphere that is safe and engaging for all children. They are selected and have remained on our staff for many years because they represent the values and beliefs of Learn and Play Preschool. Learning: We provide a consistent schedule with a balance between teacher-directed and child-directed activities, learning and playing. Our program fosters self-esteem, builds confidence, and is based on respect. Our children are empowered to take risks in their learning through exploration, guided discovery and hands-on learning. 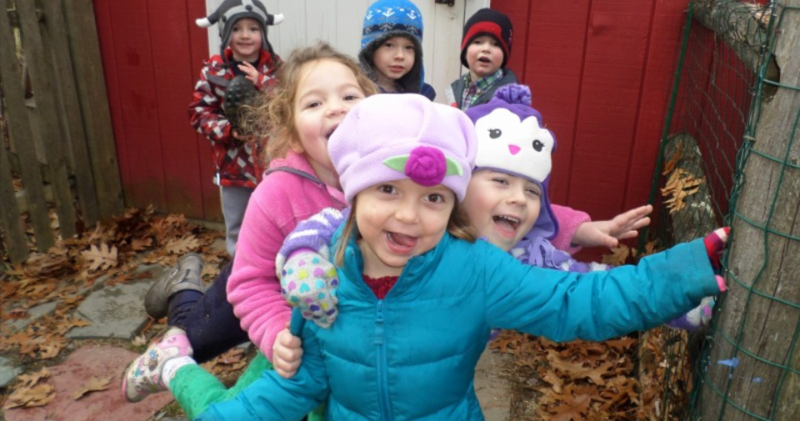 Our broad range of developmentally appropriate activities easily engages toddlers and preschoolers and provides opportunities for fundamental growth throughout their early years. Love: We create a safe, nurturing, and loving environment which fosters individual needs. The close partnership between our parents and teachers is essential for the development of happy, healthy, children with a positive outlook towards school and a better appreciation of the world around them.